As General Counsel, Carmen is responsible for the coordination and support of legal matters for the company. 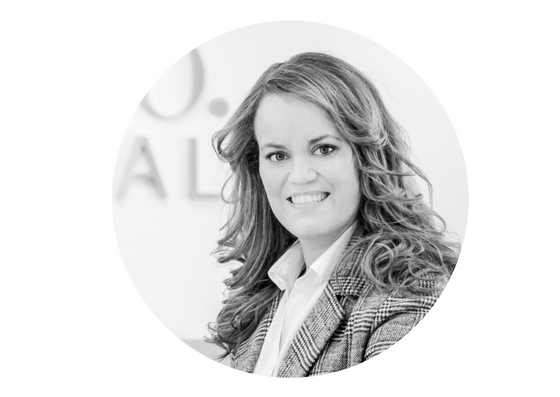 Prior to joining Sunco Capital, Carmen worked for Clifford Chance during 12 years, specializing in M&A transactions mainly in the energy industry. She holds a Law degree and a Business Management degree from the Universidad Pontificia de Comillas (2005 and 2006). 12 years of experience in the energy sector. Advising EDF EN (and minority shareholders) in the sale to Plenium Partners of 100% of Fotosolar, a platform holding a 100 MW portfolio of PV plants in Spain. Advising Siemens and Sacyr in the sale to Plenium Partners of 100% stake in the holding company and management company of a 50 MW thermo-solar plant in Lebrija, Spain. Advising InfraRed Capital Partners Limited (formerly a fund manager of HSBC) on the acquisition of a minority stake in two 50 MW thermo-solar plants in Morón and Olivenza, Spain. Advising Macquarie on the acquisition and financing of said acquisition of 75 MW of PV plants in the South of Spain. Advising Blackstone in its creation of Spanish SOCIMI Fidere through 20 share deals. Advising Neinver, in the liquidation of its Real Estate Energy Fund, IRUS I. Advising Pfizer on the worldwide restructuring and subsequent listing of a line of business.